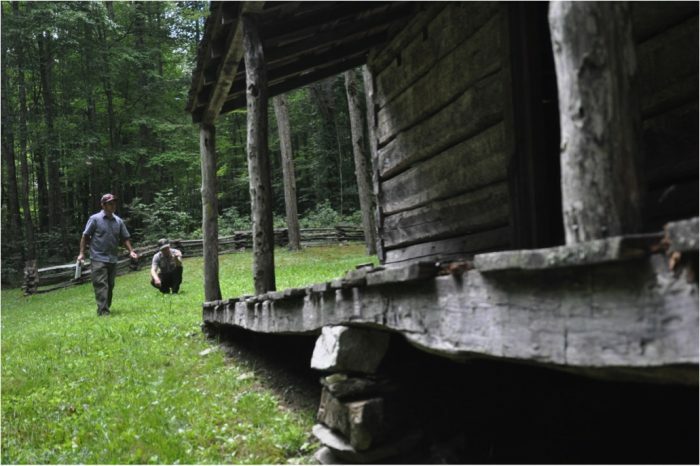 To ensure its structural integrity and preservation, the Cook Cabin in Little Cataloochee is in need of significant repairs, namely to the flooring joists and porch flooring. Inspired by a decades-long appreciation of the entire Cataloochee area of the Great Smoky Mountains National Park, its natural beauty and rich cultural history, Sean Perry is leading a construction and renovation crew from The Hands of Sean Perry Co. on a week long volunteer repair mission of the historic structure. The Hands of Sean Perry team will assemble at the site on May 1, camping onsite through May 5. Sean, whose projects have included numerous renovations and additions to historic, and often challenging, properties in Asheville, is uniquely suited to this project due to his expertise in historic structures, but also because of his many years of hiking and camping in the Great Smoky Mountains National Park and his affection for the old buildings there. The Hands of Sean Perry Co. will be donating the labor costs of his team; construction materials are being supplied by the Park and Friends of the Smokies. 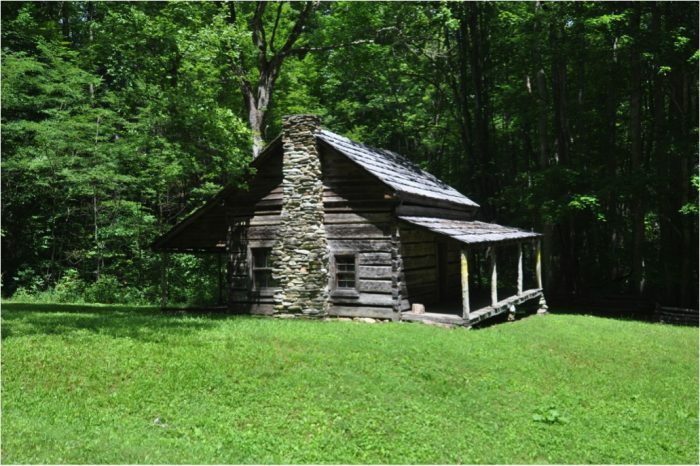 Cook Cabin History: Built in the 1850s by Daniel Cook and his wife, Harriet, the hand hewn log cabin was dismantled in the 1970s and stored in the barn of the Palmer House for 20 years before being reassembled in 1999 as part of a $1 million “Preserving America’s Log Cabins” initiative. Almost 20 years hence, the Cook Cabin is in need of significant shoring up.